Deputy Commissioner Cachar and Returning Officer for Silchar Lok Sabha seat, Laya Madduri, issues notification for filing of nominations. 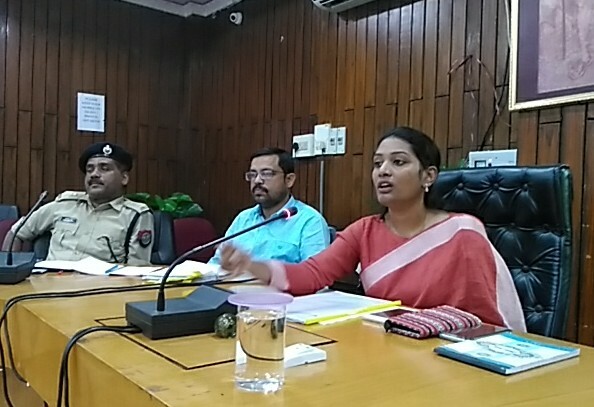 She also informed, till date, mock polls have been conducted all across Cachar and 1,26,487 voters have cast their votes through EVMs and verified through VVPAT. A candidate can spend in all, Rs 70 lakhs for his or her campaign and he or she can carry Rs 50,000 for any transactions per day. “To keep a check on all of these and to oversee the poll preparedness, election observer, Vikas Joshi, has already reached Silchar and is touring all across the district,” said, Laya Madduri. Once again reiterating that Election Commission of India wants to make this election free and fair as well as voter friendly, apps like ‘cVigil’, portals like ‘suvidha’, where one can get all the election updates, aside from portals like nvsp.in and voter helpline toll free number of ‘1950’, are in place, for all voters to come out in huge numbers and exercise their franchise.